Leading a Bible study for a small group is an achievable task for most leaders. With the right preparation and curriculum, a group leader’s main goal is simply facilitating a conversation aimed at creating a discipleship experience. On the other hand, teaching an effective Bible study is not easy, and only a few people are gifted enough teachers to exegete Scripture in an applicable, understandable way. That is why I love having video-enhanced studies as a curriculum tool for small-group leaders. 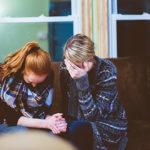 They free the leader up to focus on the discipleship conversations, while making sure the group is getting doctrinally sound teaching from teachers you can trust. Widespread use of broadband Internet has made the video delivery easier as well. 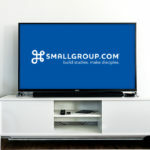 Instead of each group having to purchase a DVD, they can stream it straight from a site like smallgroup.com to their TV or computer. A good leader is always one step ahead in the process so she knows how to steer the discussion in the right direction. Watching the video and going over the questions before the meeting helps you know where the finish line should be for the meeting. We can easily distract from the group experience by just assuming the video will work. Technical issues will occasionally happen no matter what, but testing it every time before the meeting will make those awkward moments rare. 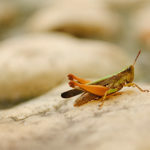 If a leader has done his homework and pre-watched the video, then he has already processed the material and is ready to dive right into the discussion. The rest of the group, however, will need a few moments to digest what they just watched. It’s okay to let the first couple of questions hang in the air while everyone is still processing. A good video-enhanced study will lead the group to examine the Bible for answers, but it will be tempting to just discuss the best quotes from the teaching. The leader will need to always press the group to dig further into Scripture and not just rely on the video. That’s why it’s so important to have a study guide to go along with the video teaching. One of the most important pieces of a successful Bible study is time management. A good leader should always keep one eye on the clock and know when to move the group to the next segment of the study. If the group spends too much time on the icebreakers, and the video is 30 minutes or longer, there will not be enough time to study the Scripture behind the teaching and discuss how to apply it to their lives. Chris Surratt is a ministry consultant and coach with more than 23 years of experience serving the local church. Chris served on the Executive Teams at Cross Point Church in Nashville, Tenn., and Seacoast Church in Charleston, S.C., prior to becoming the Discipleship and Small Groups Specialist for LifeWay Christian Resources. He is the author of Small Groups for the Rest of Us: How to Design Your Small Groups System to Reach the Fringes. You can follow his blog at www.chrissurratt.com.